FILE - A Wells Fargo bank office. Secretary of Labor Tom Perez on Tuesday said he would initiate a "top-to-bottom" review of labor practices at disgraced bank Wells Fargo, NBC News reported. Perez was responding to a letter from eight Democratic senators who had requested a probe into whether Wells Fargo had violated wage and working hour laws by failing to pay overtime to tellers and sales representatives who stayed late to meet sales quotas. "We take the concerns raised in your letter very seriously," Perez told the lawmakers, whose action was spearheaded by Elizabeth Warren of Massachusetts. 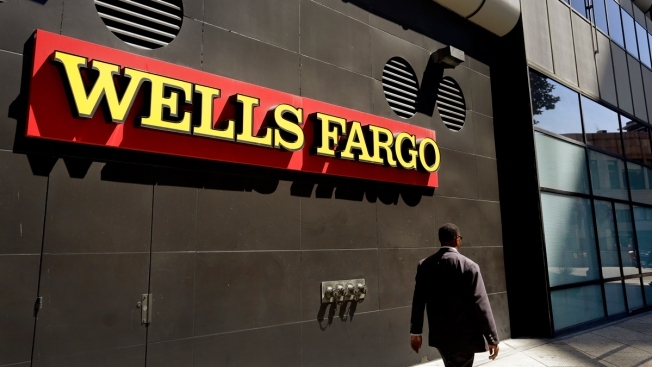 "Given the serious nature of the allegations, I have directed enforcement agencies within the department to conduct a top-to-bottom review of cases, complaints or violations concerning Wells Fargo over the last several years," wrote Perez. Later Tuesday, Wells Fargo said CEO John Stumpf and the executive who ran the bank's consumer banking division will forfeit tens of millions of dollars in bonuses as it tries to stem a scandal over its sales practices. The Associated Press reported that Stumpf will forfeit $41 million in stock awards, while former retail banking executive Carrie Tolstedt will forfeit $19 million of her stock awards, effective immediately. Both are also giving up any bonuses for 2016.